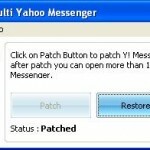 – windows live messenger 2011 is now out of beta and you can download the final version of WLM 2011 here. Find out what is new in this release and download it free. Here are a few new changes in Windows live messenger 2011. Windows live messenger has now emerged as an IM application that does more than just chatting. It can now aggregate all your social updates in one place. 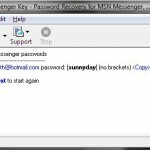 You can thus send a message, send an email, view social updates and photos of all your msn messenger, facebook, Linkedin and Myspace connections, from a single interface – Windows live messenger. You can also create groups to communicate and share with people you choose. It is also easy to toggle between the social and compact views, anytime you want. You can also video chat with your connections in HD, and it almost mimics the face-to-face real life chat. What is even more exciting is you can enjoy all these, wherever you are, on your mobile phone. Note that to experience a high quality video chat, you need a good internet connection other than a good HD webcam, headset, speakers and a microphone. 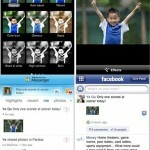 WLM 2011 also lets you share video messages. However, to open a video message, you need to have windows media player installed on your computer as WMP is used to playback the video message. If there isn’t any windows media player installed, the video message playback window can’t be opened. Instead, you see a notification that the message was received and a new conversation window with a link to the video opens. You can continue a multiparty IM conversation with your connections, even after signing out of windows live messenger 2011 (15.4.3502.0922)! However, your correct offline status will appear to them. For further list of features, read the full review on the latest windows live messenger 2011 and check out windows live messenger 2011 free download. It is the Windows live essentials 2011 installer and you can choose to install all or only the applications you want. 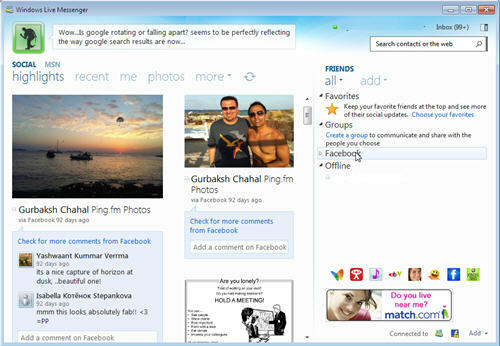 Windows live messenger is also now integrated with Hotmail as Hotmail Messenger. This lets you keep in touch with your messenger contacts, wherever you are!